This is a standard piece in solo trumpet repertoire that is used on countless festivals and competitions. Ropartz was a French composer who studied with C�sar Franck. 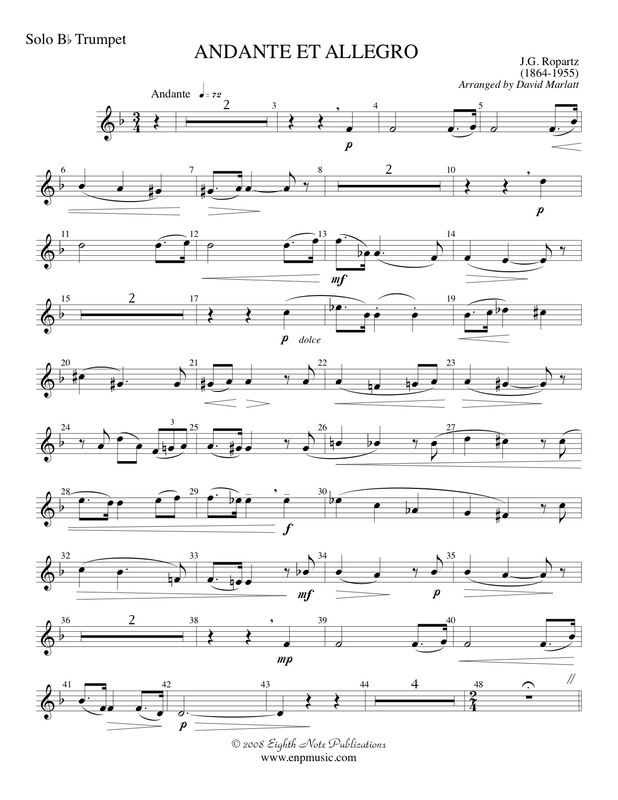 The terrific contrast between the slow lyrical playing and the bright fanfares makes this piece a great one for demonstrating everything the trumpet can do. The original was scored for cornet and piano and this arrangement for band allows for a wider range of timbres in the accompaniment.